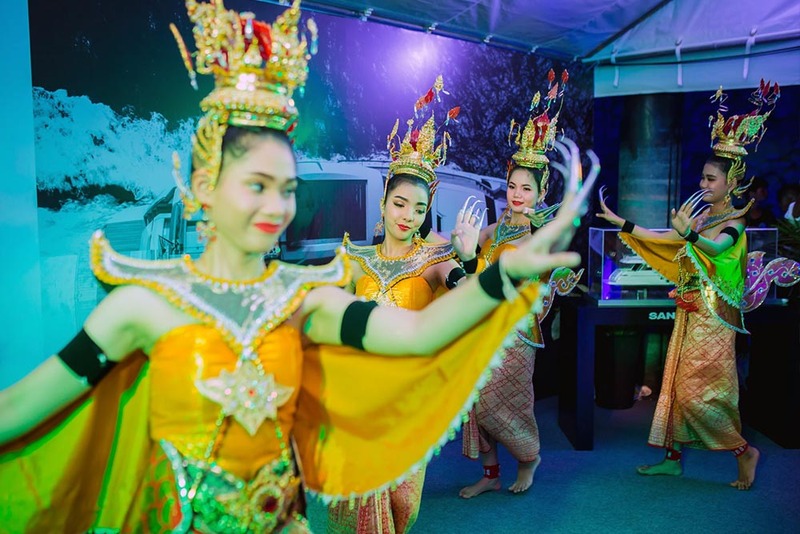 Simpson Marine is pleased to have concluded the Thailand Yacht Show, the first Asian yacht show of 2019, on a positive note with an impressive fleet of nine yachts on display and several sales concluded at the show. 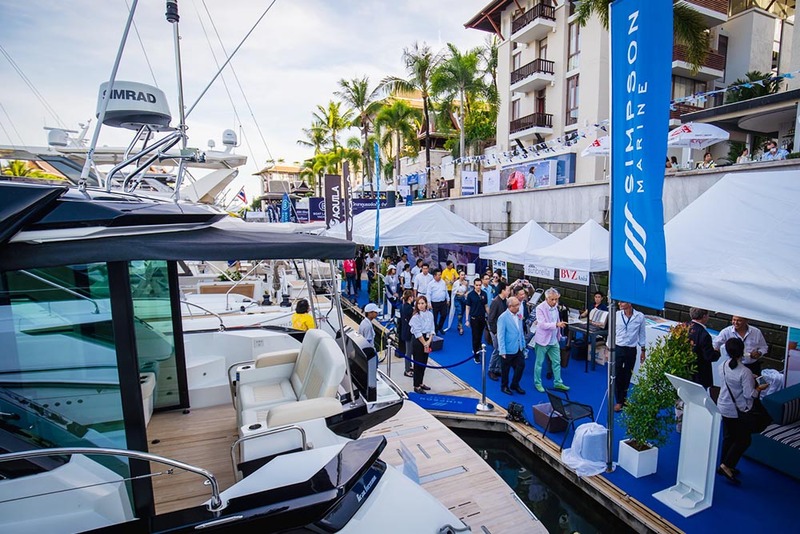 Held in Phuket on 10-13 January the Thailand Yacht Show saw Simpson Marine as a leading exhibitor, with a varied range of nine sailing and motoryachts on display. 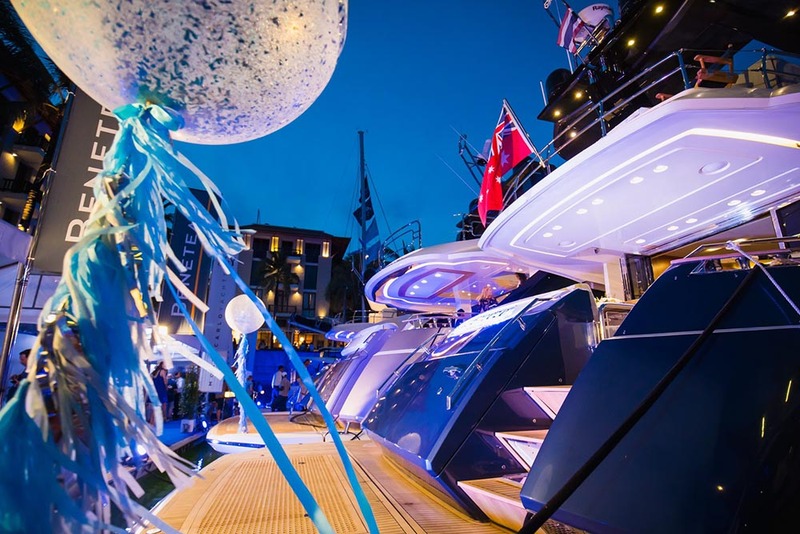 With both mono and multihulls from 9 to 27 metres on show, the Simpson Marine lineup included a Monte Carlo Yachts 86 (fleet flagship), Monte Carlo Yachts 70 (available for immediate delivery), Monte Carlo Yachts 65, Gran Turismo 50 (Thailand Premiere), Gran Turismo 46, Oceanis 51.1 (Thailand Premiere), Lagoon 42, Aquila 44 and a Flyer 8.8. 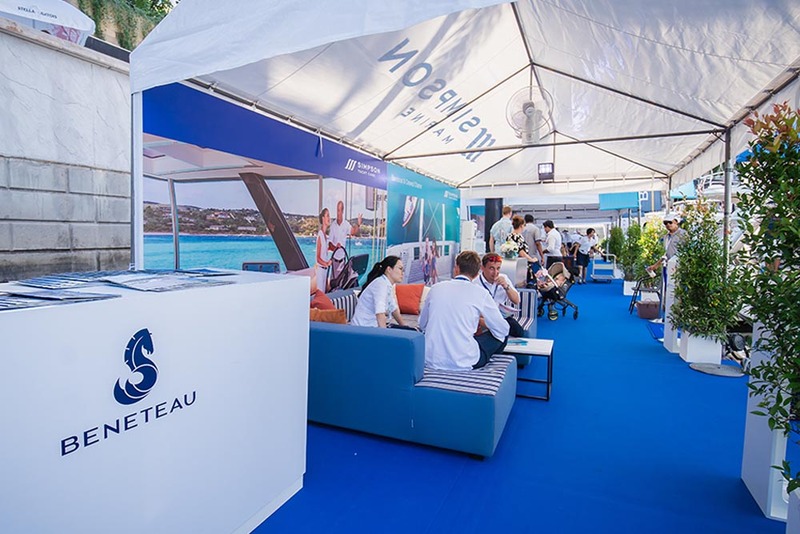 In addition to the yachts on display Sanlorenzo Asia, represented by Simpson Marine, hosted a VIP Sanlorenzo lounge for guests looking for bespoke yachts to cruise around Asia. 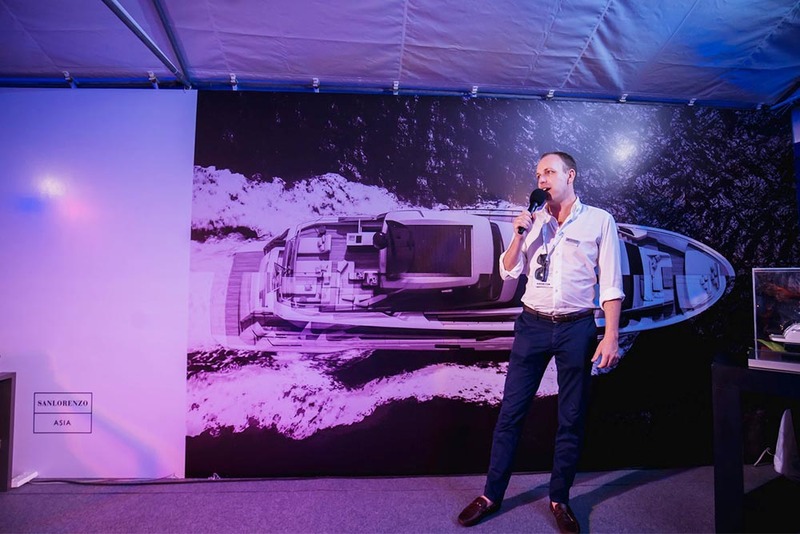 The excitement around the Sanlorenzo brand has exponentially grown in Asia over the past few years and is set to increase further with the imminent arrivals of several new Sanlorenzo yachts into Asia including the SL78, SX76, SD92, SL102 Asymmetric. 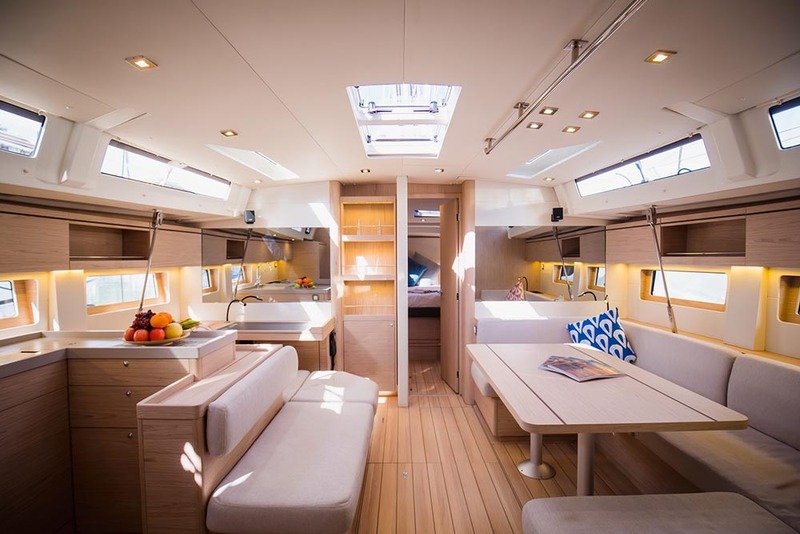 It was also announced that the newly arrived SD126 is to make her official Asian premiere at the upcoming Singapore Yacht Show on 11-14 April 2019. Phuket is now also a temporary base of the superyacht Sanlorenzo 46Steel, cruising around the region and listed for sale with Simpson Marine as Central Agents. The Thailand Yacht Show was an excellent opportunity to present the full range of Yacht Services that Simpson Marine offers yacht owners including its Yacht Care programme, a tailored service that keeps yachts in peak condition while their owners are abroad or not on board. The Yacht Care team was responsible for preparing the Simpson Marine fleet for the show, and the impressive results spoke for themselves. 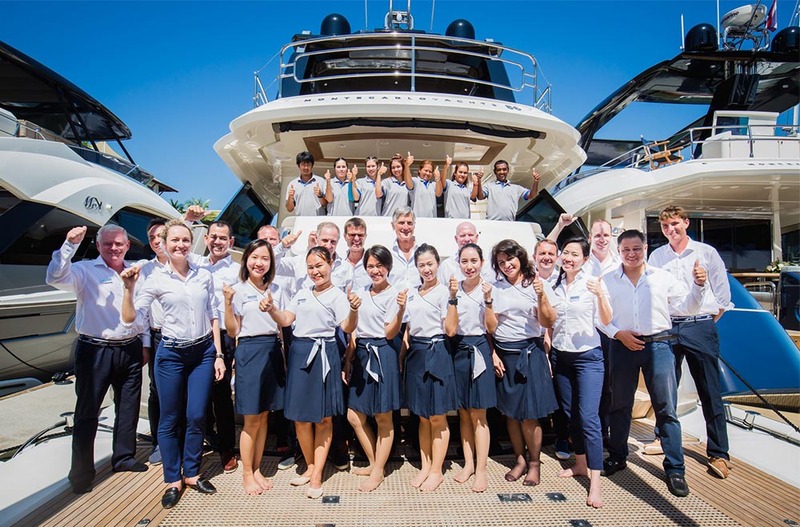 This Yacht Care service has proved extremely popular and is now active in Thailand, Malaysia, Singapore, Hong Kong and China with plans to expand to other parts of Asia. The Yacht Care programme is also an ideal add on service to the Simpson Marine Yacht Charter Management division. 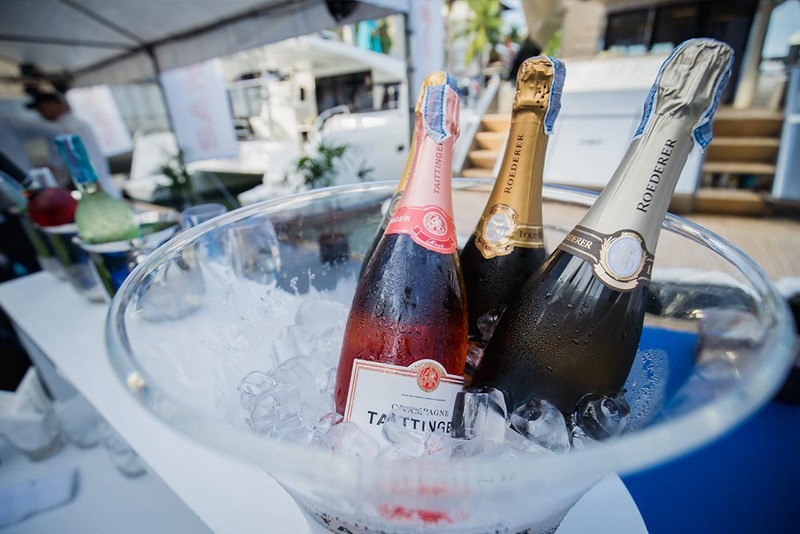 In addition to the company’s sales success, the Simpson Yacht Charter division had a busy show, with a strong presence and many charters booked over the four days. On display at the show were the new Flyer 8.8 (ideal for day charters) and Lagoon 42 (suited to day and overnight use), and these two models were just a small sample of the impressive fleet of luxury catamarans, motoryachts and superyachts available for charter with Simpson Yacht Charter throughout Asia. Fresh from the show, Simpson Marine has several models now available for immediate delivery and ready for their new owners to enjoy. 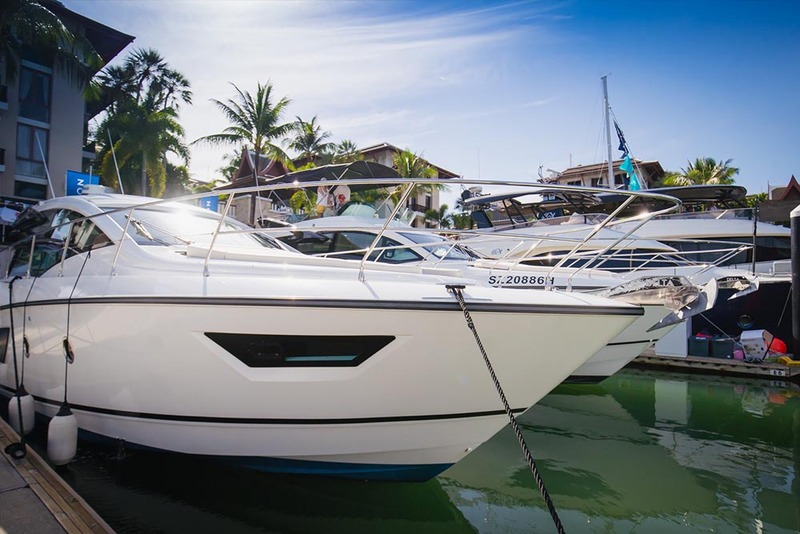 These include the Monte Carlo Yachts 70, in as new condition, and a new Beneteau Power model, Gran Turismo 50, currently located at Ao Po Grand Marina in Phuket. 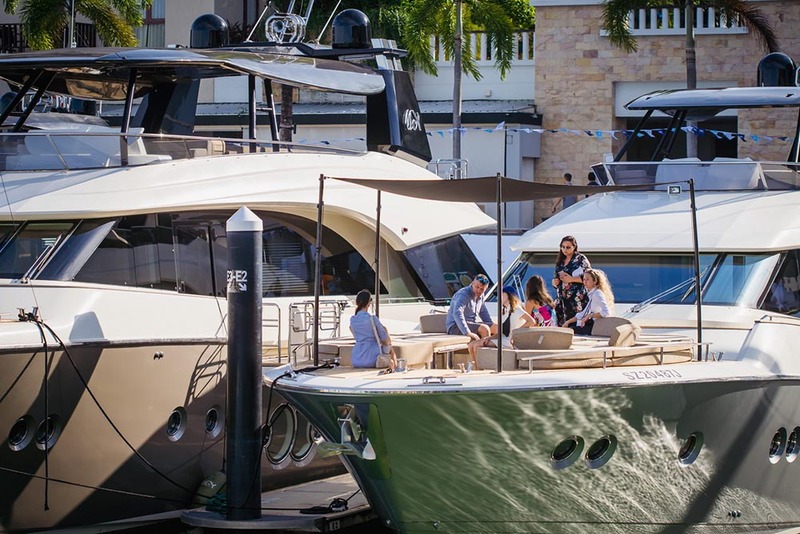 Next in the yacht show calendar for Simpson Marine is the Singapore Yacht Show, held 11-14 April 2019, where Simpson Marine will have 14 yachts on display. 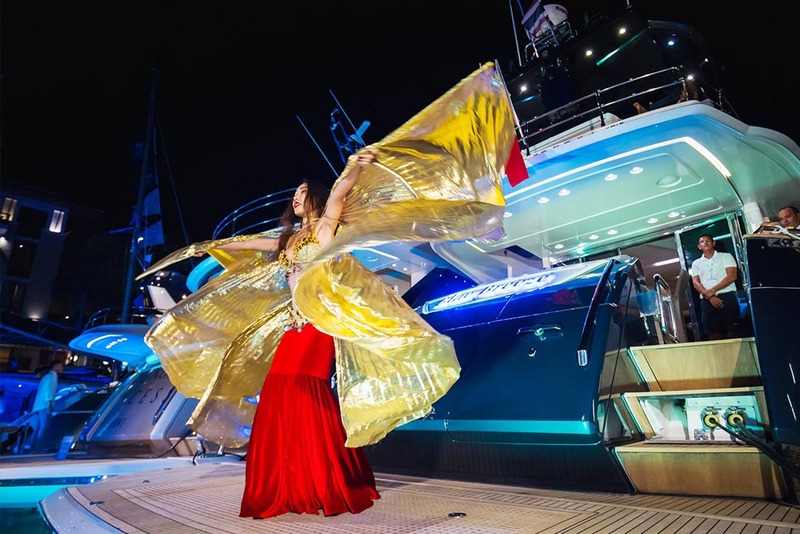 These will include several Asia premieres and the newest models from all the brands in the Simpson Marine portfolio including Sanlorenzo, Monte Carlo Yachts, Beneteau, Lagoon and Aquila. Celebrating 35 years on the market, Simpson Marine keeps expanding its regional coverage with an increased presence in the Philippines and South-East Asia and proudly maintains its status of Asia’s biggest yacht dealer, since 1984. 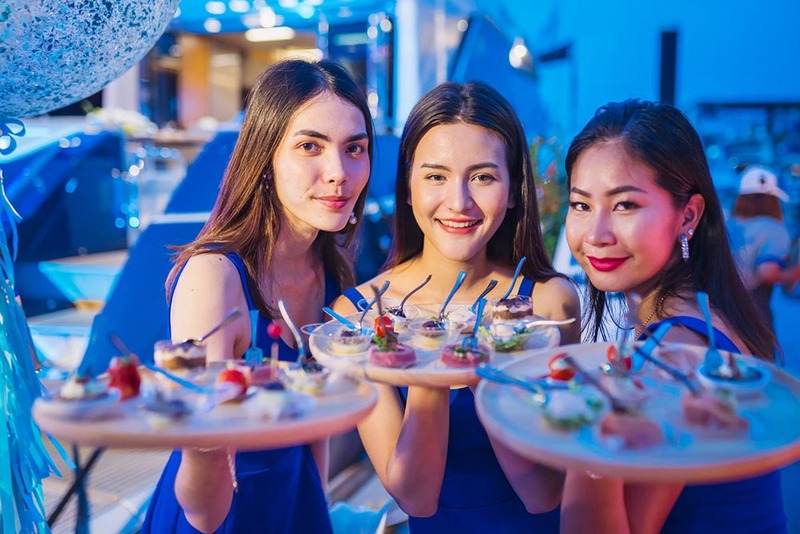 To contact our Thailand team regarding all your yachting needs in the Country of Smiles, please e-mail us at thailand@simpsonmarine.com or visit our offices at Ao Po Grand Marina, Phuket and at Ocean Marina, Pattaya.